Cook your favourite rice, I had thai jasmine at home. Fry in a pan with some neutral oil. & stir it to a sauce. Pour the sauce into the pan with the cabbage and leek. Pour some water in as well, I think I ended up pouring about 2 deciliters. 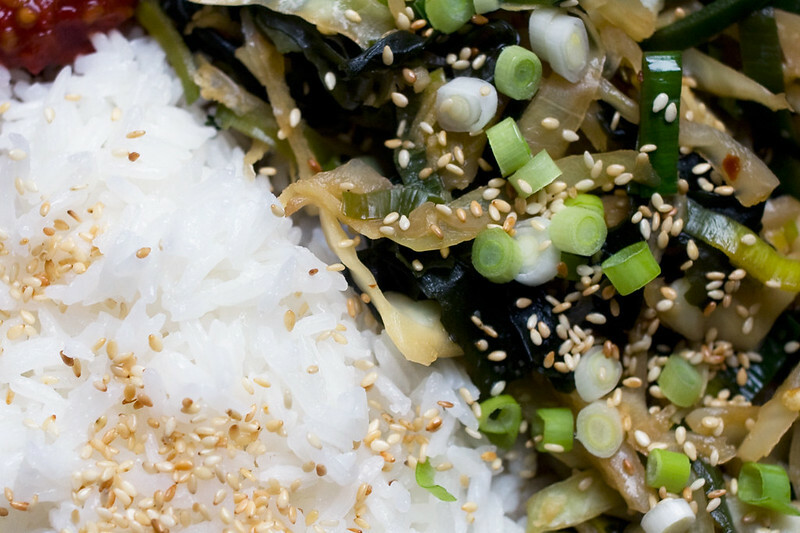 Throw in some seaweed and let everything simmer until the rice is ready. 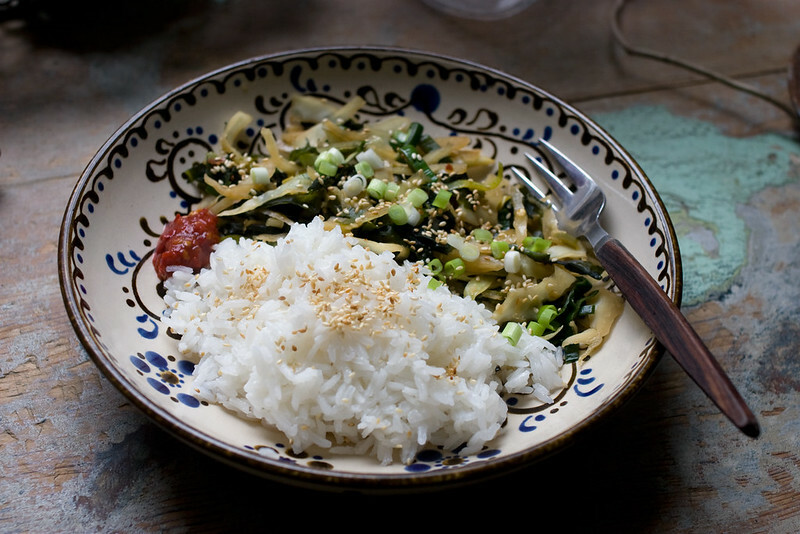 Put everything on a plate and sprinkle some roasted sesame seeds and spring onions wherever you want it. If you want some extra spiciness, put some sambal oelek on the side (the red thing). By the way, it's vegan. 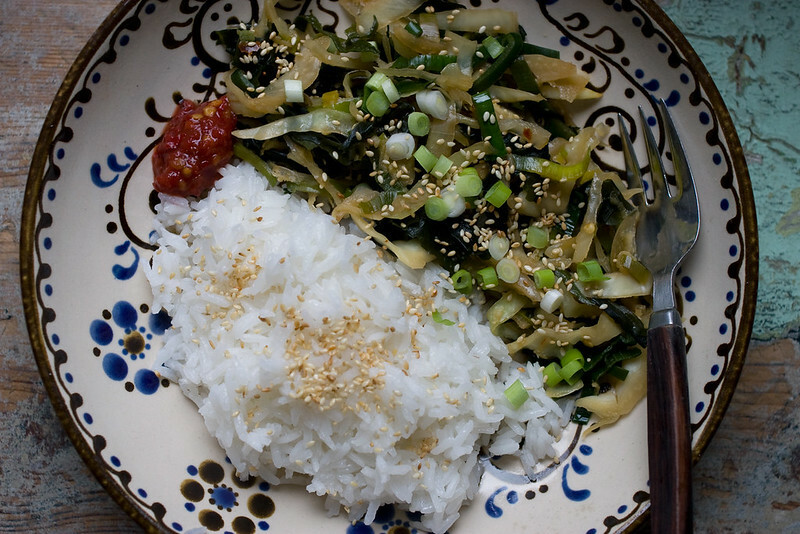 I cook something similar, but adding shiitake mushrooms instead of seaweed. Your version looks delicious!! !